Is white rice Paleo? Shouldn’t I eat brown rice instead? Shouldn’t I avoid carbs at night? Isn’t white rice high on the Glycemic Index? And truth is…. IT DEPENDS. It depends on the person, their gut health, their activity levels, and the way they prepare grains. Yep, it depends. In all honesty, I prefer to eat my carbs in the form of plantains, potato, or squash. But you see, I’m married to man who runs his but off for a living. And who already started training for an 2015 Ironman. Which means it’s bulking season at our house. No, not the muscle kind. The BULK cooking kind. And rice is EASY to make in batches and use in SO MANY WAYS! 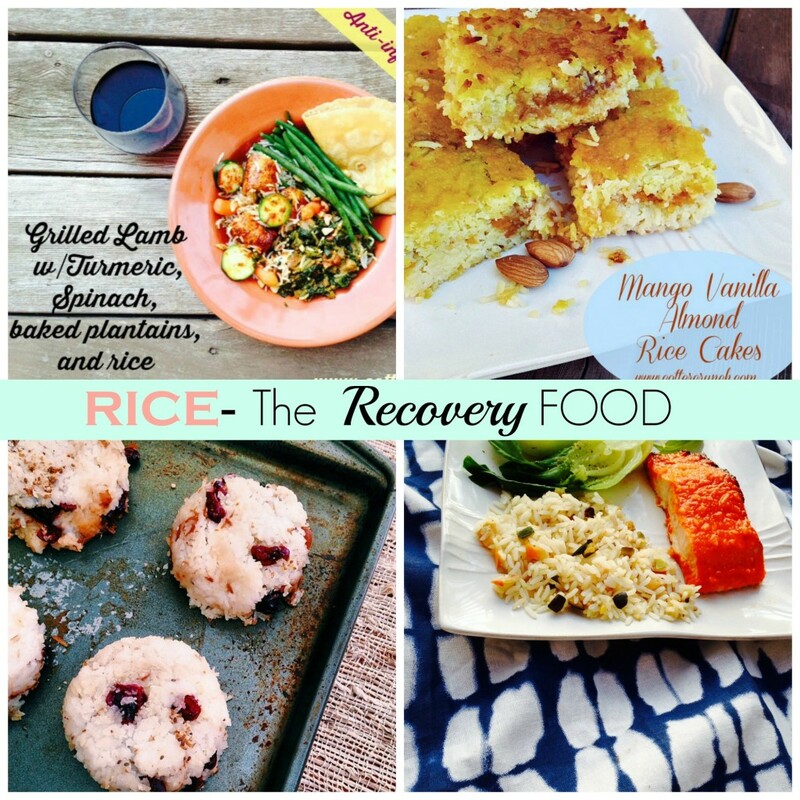 Let’s talk about why rice is nice (for recovery), shall we? Rice is calorically dense so you can replace calories without having to scarf down a bunch of food, especially if you don’t feel like eating much after a workout. White rice has a high glycemic index which helps to get those calories in fast and restore glycogen. Most endurance athletes need to consume food with high Glycemic Index (GI) to restore glycogen level FAST and white rice increases blood sugar level which then increases the GI. Hence why I make RICE BOWLS for post swim breakfast. It’s best to soak your rice before cooking. Soaking allows the nutrients in grains to become more digestible and more easily absorbed. Similar process to that of beans and lentils it, soaking for hours or overnight breaks down the enzymes from the grain that inhibits absorption. Now you know why I love coconut rice bowls too! Speaking of bacteria… cold rice is also resistant starch. Which means it can help feed your good bacteria in your gut. Rice Cakes are ideal for snacking in between workouts or to use when you have a heavy week of training. 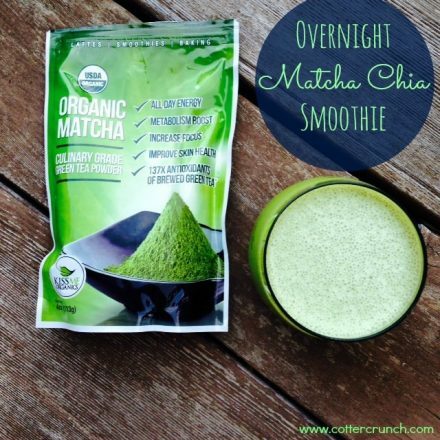 Keeps you fueled and can potentially boostsyour immunity while doing so! That’s if you practice good recovery in ALL areas (not just food). Great to feed kids who are busy playing sports as well! 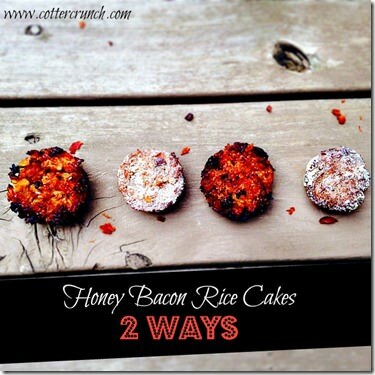 My favorite rice cake recipes are the mango vanilla rice cakes, bacon rice cakes (for savory craving), and Cherry Vanilla. Note: Rice cooker works better for stickiness. 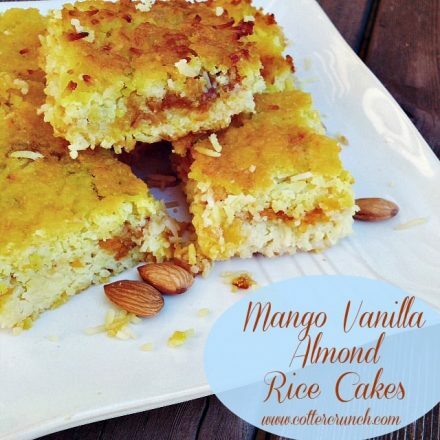 While your rice is sitting, blend your filling, the mango, almonds, and optional coconut. Set aside. Once done with the filling, add the rest of your rice and press down to make even and flat. Bake at 375F for about 35-40 minutes. Just depends on your oven. Let it cool. Once cooled, you can either remove foil and slice into squares, or cut with foil and wrap them up to go right then. Makes about 12-16 squares depending on your cutting technique. 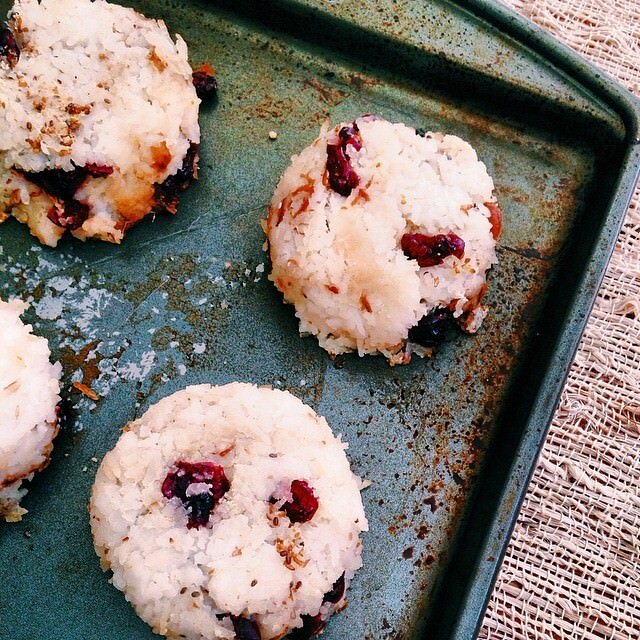 I make the cherry Vanilla Rice Cakes the same way I do the Mango Vanilla, but use coconut butter instead of almond butter and then roll them into balls and bake versus in a square pan. Rice is an ideal dinner or recovery meal as well! It’s a fast uptake carbs which you can then mix with quality proteins, and fats to refuel your body quickly for tomorrow. 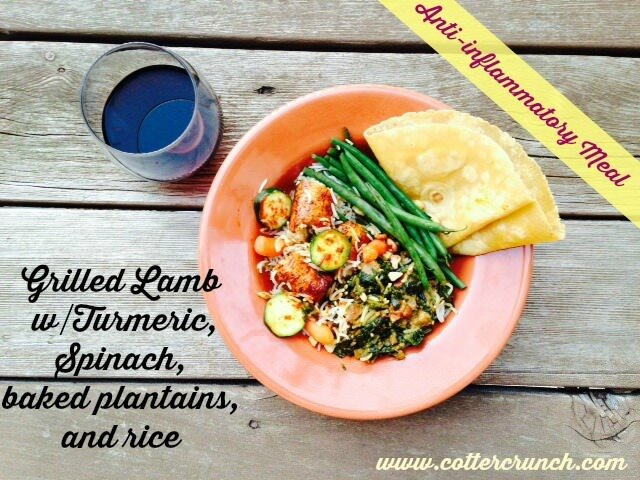 Try mixing it with lamb, plantains, zucchini, MCT oil or butter, spinach, and turmeric and you’ve got yourself the perfect anti-inflammatory meal! Or switch out your meat for fish and make it rich in Omegas! which is also great for recovery! That reminds me, I need to post my Sriracha Salmon recipe soon, yes? What’s your take? Do you eat white rice in your diet? Crazy Cotters (both our blogs combined) Facebook page. Only 3 more days to enter the Bourbon PB Gingerbread bite giveaway with A Loving Spoon Nut butter! See HERE TO ENTER! Accurate and informative as usual! I do prefer to eat other carbs only because rice just has never been a favorite, but, for high level athletes rice can of course be so helpful. How lucky is your husband to have you! Recipe looks delicious too! Not the plain white rice I think of. Fabulous creativity! 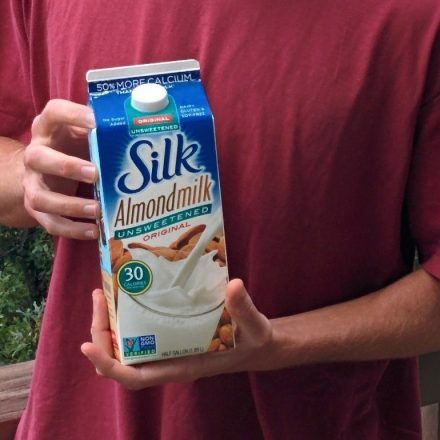 have you tried soaking in coconut milk?I think you’d love! I love eating rice after a hard workout! Especially with thai curry!! I love rice, but I often chose squash, sweet potatoes etc. as well. I love your idea of soaking grains in a cultured product. I never thought of that, but it makes perfect sense. I was in heaven when I was in Cuba the other week, rice, beans and fresh fish at almost every meal, it was amazing! oh man, that does sound amazing. wanna go back and take me? I want to go back so bad, it’s freezing here! Yum yum! So many good looking rice-y foods! Lindsay, I may have to put a rice cooker on our registry……hmmmmmmm! I don’t have room for any more appliances, but I want to cook more rice-y things, and you are making me feel like it is a necessity! you have to!!!! we actually travel with ours. LOL! i make oats, quinoa, rice, lentils, everything in it!!! I always learn so much when I read your posts! I don’t eat a lot of white rice (or rice in general)…pretty sure the last time I had rice it was rolled in sushi 😉 I will have to try out some of your recipes, they look fantastic! let me know if you do Annmarie! I prefer brown but the child? husband? LOVE THE WHITE. LOL! that’s okay. To each their own. I will admit, I never even consider white rice. BUT–sticky rice is sooo good. I love this recipe! Great info. oh me too! sticky rice for the win! I love me some white rice with Thai curries!!! Or when I’m sick. Other than that.. I’m a potato and squash girl like you! Wow I never thought to soak rice in coconut milk etc. Sounds delicious, will definitely have to try! it’s tangy and delish! let me know if you try it sue! Ugh! I really need to run more! Poor white rice. It’s like the red-headed stepchild of food! I myself stayed away from it for years, but when I was dealing with IBS last year and needed to heal my gut, white rice really helped. I always avoided white rice like the plague but it’s been interesting to learn that it is not so bad! Everything changes all the time. Have a great weekend! isn’t it funny how that happens. Pretty soon something else will come out saying to avoid a food. Ugh, but to each their own! I eat a lot of white rice– so does my family. We use the Lundberg Farms Sushi rice. I make a big batch and then use it just like you do, for breakfast or PB and J Balls. You always have such amazing ideas and recipes. we use lundberg too! twin, as usual! Sadly I just read on consumer reports that rice contains ARSENIC. Dang. But white basmati rice from California, India and Pakistan and sushi rice from the US had the least amount (well, save for infant cereal rice, which thankfully had even less.). yes, so true. Another reason why i still to white basmati and try to soak it. Good info Gale! I’m down with the white rice… in sushi… 😉 I’m weird – I’ve never really liked rice. Those rice cakes though… I could get on board with that. A lot of body builders are getting into white rice too. It’s a great post workout! yes, totally! and i’ve been adding gelatin to the bowls. Perfect combo! Your rice bowls have my mouth watering!!! They look delicious. I love white rice – especially after a tough WOD. 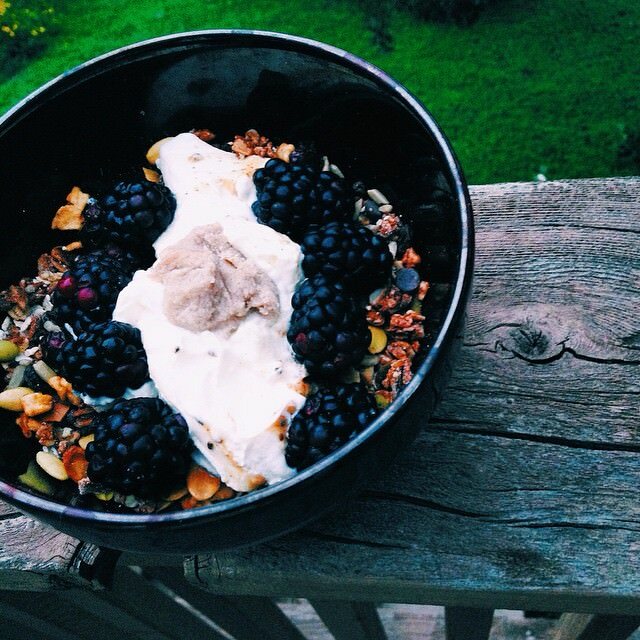 I need to start making some rice/yogurt/fruit bowls like yours though-looks delish! woohoo! team White rice. LOL! I prefer brown rice over white mainly because of the texture. I do eat white rice though in sushi rolls, otherwise, rice has never been my carb of choice since I prefer potatoes and squash! This is a great post! I’m glad to hear good things about white rice. People always seem to push that brown rice is better so I’m happy to hear that my good ol’ white rice still has its uses! These recipes look yummy. I can’t wait to try them out! Awesome tips and info!! That’s something most people have no idea about!! You’re so great! Such great info here, Lindsay. I find so many people are confused about this and I love that you included a bit on resistant starches too. And so many yummy recipe ideas! i feel like we all need a yearly update on nutrition facts, don’t you? I love rice. For me, it’s total comfort food. And I love learning from you how to make use of my leftovers other than just fried rice or congee! I do love rice, but I’m not a huge fan of white rice. I don’t digest it well. I do like brown rice, farro, quinoa, wild rice. Very informative post as usual! totally does. But i think all food has that at times. Our poor society is confused. LOL! I eat white rice (love the sticky or basmati) because it goes the best with my digestion. I have an extremely screwed up GI system. Some fibrous foods, especially grains and starches, just do not sit well with me. They tend to gum me up, if you know what I mean 🙂 It’s all about what works best for your individual body!! We love rice – white and brown!!! Currently I’m not putting in the hours I normally do but there are times that I feel like I have to have the extra carbs from rice. 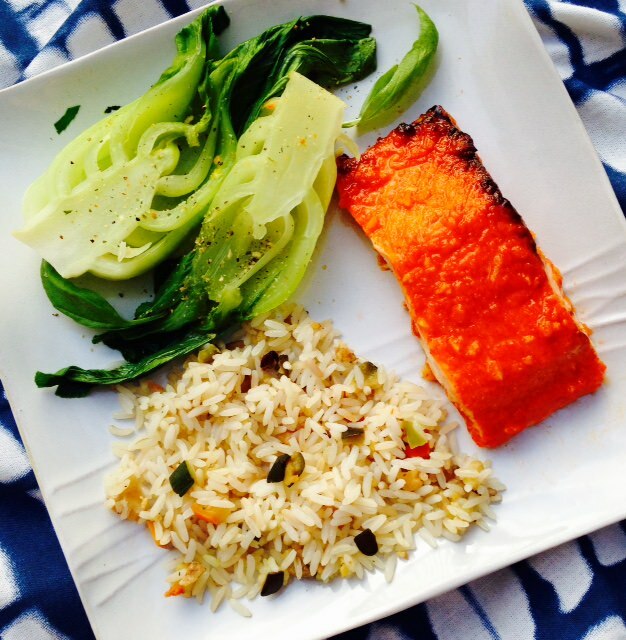 Love all your rice creations – looks yummy! I’m honestly not a huge rice person. Bread on the other hand…I love. Of course I try to limit it since it’s processed, but I still enjoy it every once in awhile. When I do cook rice, I typically mix it up – sometimes we’ll do brown, other times we’ll do jasmine white rice. I prefer the sticky white rice with Thai or other Asian dishes. i bet hunter would like the rice bowls with nut butter and banana and yogurt. And enjoy that bread for me… i miss gluten. LOL! Oh my gosh, I love this! I usually only eat white rice on sushi rolls, but this opens my eyes to all the other ways to eat it. I’d love to try making rice cakes too. Thanks for this interesting perspective. I’d love to hear more about what you guys eat during bulking season! of course! 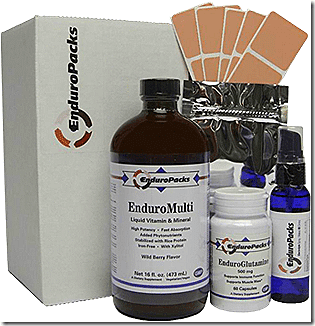 you mean for endurance training? Carla’s comment is hilarious! But I’m kind of in her camp. The family digs the white while I look on in brown rice snobbery. THose mango cakes look sooooo good! 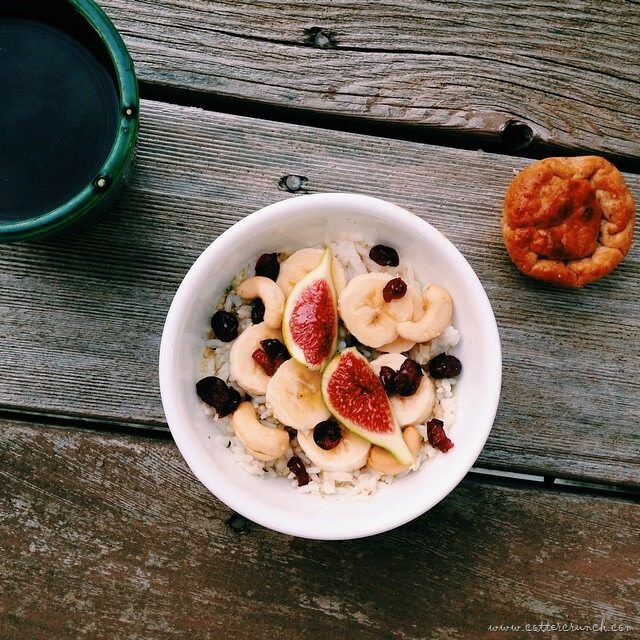 I love the idea of soaking it in coconut milk- would make a pretty incredible breakfast bowl! that salmon looks delicious. i have been craving bok choi. haha i know. It’s so good! What;s your favorite way to eat it? ahhh rice…such a controversial topic for so much of the health professionals world…I like what you said here and I’d say I have to agree! Especially that you pointed out soaking rice (and beans and lentils) – that’s an important key to digesting well! yes! i think that’s so crucial for proper absorption and digestion, ya know? rice – a GF gal’s BFF! oh I LOVE this post- oh all the hate mail I receive for eating white rice and white potatoes lol. I actually find the more processed the white rice I eat, the better I feel- hence I love the microwave tilda kind! Thanks for the info on soaking- I’ll need to try out rice for breakfast, sweet style! the good thing is that white rice and potatoes are processed, just more simple in sugars. I think for you (and adrenals) it does help, ya know? We still need to catch up on that topic bud! I always learn something from your posts! I mostly eat brown rice if I’m going rice, but now I’ll be more inclined to eat white! Love your idea of soaking rice in coconut milk. I love rice but usually pick brown over white. I haven’t had any in a while tho. You are so right when it comes to the person. Even though it’s not the topic here, dairy has never been an issue for me but the last few months it’s really bothered me after I have some. No matter what it is…. So it does all depend upon the gut factor 🙂 Hope your day was great! LOVE! I actually prefer white rice over brown rice because I find that my stomach has an easier time dealing with it. And if I don’t feel well or nothing sounds appealing? Rice is one of the only things that I can stomach. Really interesting post! Rice is so easy and cheap! I never thought about soaking it overnight and eating it cold for breakfast like oats. Clever idea. Most interesting post yet Lindsay! I had no idea rice had good gut properties. I love rice for muscle type bulking. Thanks for your recipes! I love Royal white basmati rice and eat it all the time with red lentil dal and a lot of veggies. I also cook farro often and hardly ever eat potatoes or squash, but prefer grains/veggies. The things you do with white rice always amazes me. You transform it into something else entirely. You’re a culinary wizard, Baby. Love this post for so many reasons! Dave is bulking for weight gain Roth now and consumes so much rice. 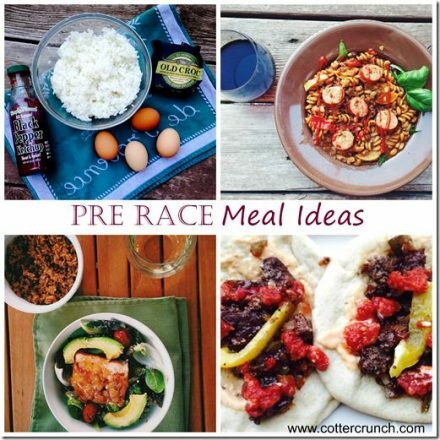 Like you said it’s perfect to help get lots of calories in fast. I’ll have to let him know about the soaking as he has digestion issues. Thanks for all your awesome recipes in this post. Definitely making those rice cakes!! what a lucky guy. Eating to gain is actually hard for a lot mean though, so yes to rice! WOO! Your rice cakes look amazing.